Understanding is an attitude. You cannot go through life controlling situations, circumstances and people. But you can develop understanding. With an attitude of understanding your life becomes a more peaceful, harmonious experience. Here are ten suggestions for acquiring understanding. 1. Be Tolerant of Others. Learn to be patient and tolerant of other people’s weaknesses, actions, and differences. All people are different from you. Simply because a person is a boss, iiiend, or one to whom you are married does not make that person like you. They are not going to act out the role of boss, friend, or married partner exactly the way you think it should be done. You may not understand why the other person acts as he or she does. But you can learn to tolerate that person and that is the beginning of all understanding. 2. Accept The Differences In Others. Although we say “differences” we really mean imperfections. Because the ways that people are different might be viewed as their faults or weaknesses, you tend to unconsciously judge others. You judge whether or not they are doing something you like or dislike agree or disagree with whether they are right or wrong, from your viewpoint. Now if they do not measure up according to your judgment, you stop tolerating them and become irritated, upset, or frustrated. The challenge of forming an attitude of understanding is to have faith in people and believe in them. Try to accept people as they are; avoid casting them in roles of perfection. Stop judging them. Learn to accept the ways that people are different from you. 3. Avoid Expecting People To Be Perfect. Have faith in people, believe in them, love them, like them, enjoy them but accept them the way they are! They come with a lot of good and a little bad; some positive and a little negative; always some plus and always a little minus. 4. 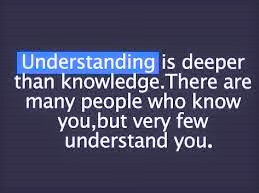 Be Sure You WANT To Understand People. There are times when you find yourself criticizing another person saying you do not understand why that person acts that way. But perhaps you’re finding it easier not to understand that person. Perhaps you are envious, suspicious, or simply find it easier to dislike that person. As long as you want to be dominated by your own negative feelings, you will never learn to understand others. 5. Look For The Good In Others. It is amazing how deliberately people seem to look for other’s negative characteristics. There seems to be a measure of delight in fault finding. Make an effort to identify with the positive qualities in people. If you have only positive thoughts of others you will really have no need for understanding. You have, in a sense, achieved it! The personable, popular individual with no irritating qualities presents no challenge to understanding. The challenge is to love the unlovable. It is difficult to understand the people who are rude, sarcastic, arrogant, surely and self-centered.It is difficult even to want to understand these people. It requires self-determination to understand that someone has hurt these people. Someone has made them feel unimportant and unwanted. So these are the people who need your understanding. And the reward will be yours for trying, because, in the process, you will be growing into a genuinely mature person. 7. Place Yourself In The Other Person’s Situation. In very few instances would you be irritated with another person if you really knew all the facts. And all the facts include an insight into all inner compulsions, needs, experiences, and the problems of others. One of the characteristics of your imagination is its ability to place yourself in the other person’s situation. You can “imagine” how another feels. And that accomplishes much the same purpose as understanding. It gives a bond of feeling and compassion for others. Always remember there is usually nothing in the other person’s actions that irritate you. It is your reactions that cause the negative feelings a the misunderstandings. Learn to control your “reactions” your attitudes to others -‘and you will automatically control your feelings. 9 .Develop A Mental Image of Understanding. Picture yourself as an understanding, patient, kind individual. Model your picture, if you wish, after an actual person whom you consider as having those characteristics. Hold that picture in your mind. Start acting out the image. Soon you will become that person! 10. Use Positive Affirmations of Yourself As An Understanding Person. 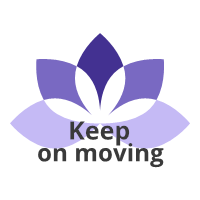 The quality of our overall life is determined by how we feel, moment-to-moment.So one of our most important goals should be to use positive affirmations and all psychological positive thinking techniques available to keep ourselves thinking and talking about what we want and to keep our mind off of what we don’t want, or what we fear . Always tell yourself that you are an Understanding Person. Keep positive thoughts consistent and keep your mind on what you want to do and the person you want to be. These are excellent tips. Simple but hard to follow through. But it's great to know and start somewhere early. Thank you Hiby for your comment..